Buying an electric car has been the automotive equipment of eating a salad. You know it's good for you but it might not be the most exciting meal. The latest generation of luxury electric cars though are also trying to serve up a sizzling steak with those greens, drawing buyers in based primarily on their performance rather than their environmentally-friendly credentials. Tesla did more than just speed up its Model 3 assembly line last month. The California battery-carmaker also introduced a new $78,000 version of the compact sedan capable of launching from 0 to 60 in just 3.5 seconds, faster than the latest version of the similarly sized BMW M3. 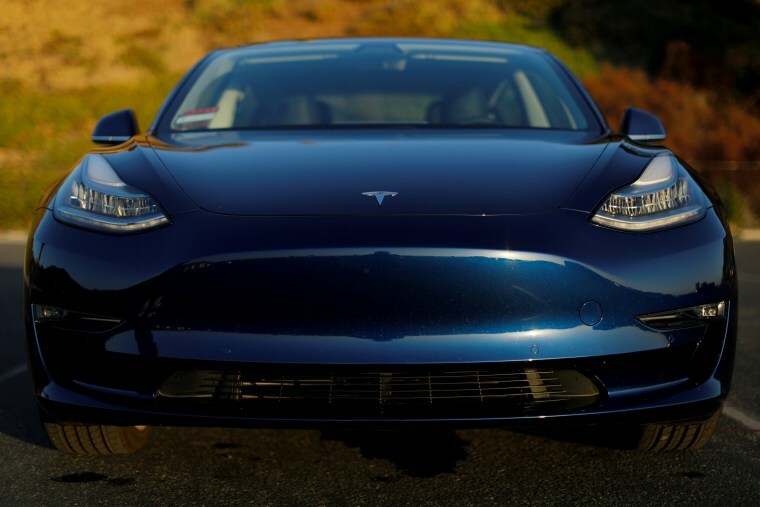 While Tesla won widespread kudos for delivering the U.S. market’s first long-range electric vehicle, it has also put a premium on performance, countering the traditional image of battery-electric vehicles as slow and stodgy. It’s a lesson other automakers are taking to heart, especially in the luxury market where 0 to 60 times traditionally mean more to buyers than miles per gallon. And that could pose some serious problems for Tesla. While it plans to press even further into the performance market with an all-new version of its original Roadster model, it faces an onslaught of competition from traditional automotive brands, as well as some new EV start-ups. Only a couple years ago, Fiat Chrysler Automobiles was staunchly determined to ignore the battery-car market. CEO Sergio Marchionne pointedly declared his hope that few buyers would actually purchase FCA’s first all-electric model, a version of the little Fiat 500, because the company lost more than $10,000 on each one. But Marchionne was far more charged up about electrification when he unveiled the automaker’s five-year strategy at a meeting in Italy last month. At the low end of FCA’s product line-up, virtually all future Fiat models will soon go all-electric. At the top end, meanwhile, both Alfa Romeo and Maserati will offer hybrid, plug-in or all-electric versions of virtually all future products. That will include four pure battery-electric models from Maserati, as well as a new, 700-horsepower plug-in hybrid supercar, dubbed the 8C, that Alfa plans to launch around the end of the decade. “Everything gets electrified,” Tim Kuniskis, the head of the two FCA premium brands, told NBCNews in an exclusive interview late last month. “Look at our product portfolio and you see we’re going after Tesla,” minus a direct competitor for the base, $35,000 Model 3. With regulators in virtually every major market pressing for cleaner, more energy-efficient vehicles, a number of luxury brands have rolled out what are derisively known as “compliance cars.” They might comply with the regulations but they haven’t really met the expectations of traditional buyers. The Cadillac ELR, a plug-in hybrid sharing its powertrain with the pedestrian Chevrolet Volt, did offer a lavishly equipped cabin but took nine seconds to hit 60. Sales were equally slow and Caddy quickly dropped the ELR from its line-up. But Alfa and Maserati are betting more traditional buyers will actually be drawn to its battery-based models when they realize the performance advantages the right sort of battery drivetrain technology can offer. Unlike conventional gas engines, electric motors develop maximum wheel-spinning torque the moment they’re turned on. Pump enough energy into a large enough motor and the only constraint is the amount of traction you can get from your tires. FCA’s electrified luxury models will “have a performance advantage,” said Kuniskis, revealing a strategy that makes future plug-ins and all-electric models part of the traditional “performance ladder.” At the bottom rung you have models equipped with low-performance four-cylinder engines, then moving up to higher and higher-power sixes, eights, and twin-turbo eights. The electric models will be at the top of that ladder, where “I’m going to give you more horsepower and quicker 0 to 60 times,” the FCA executive boasted. Fiat Chrysler isn’t the only one adopting that performance ladder strategy. Indeed, three of the fastest performance models ever built used hybrid drivetrains, including the Porsche 917 Spyder, Ferrari’s La Ferrari and McLaren’s P1. Porsche is getting ready to introduce the all-new Taycan next year, a sort of all-electric 911. Ferrari is also rumored to be working on an all-electric model. If anything, it’s difficult to find a luxury manufacturer that isn’t working on an electrified line-up these days. Mercedes-Benz is readying an all-new sub-brand, Mercedes-EQ, while BMW is expanding its own brand-within-a-brand, BMW i. Even Britain’s Aston Martin has launched a new electric sports car, with another in the works. With rare exception, manufacturers plan to emphasize performance as much as they will long range and quick charging. It’s become “clear,” said FCA’s Kuniskis, that electrified vehicles can appeal to luxury buyers, but not if those vehicles are pitched solely as clean and green alternative. The real “unique selling proposition,” he contends, is being able to pitch vehicles that are more than just environmentally friendly but which are clean and green, delivering real performance benefits, much like conventional turbo or supercharged engine options.